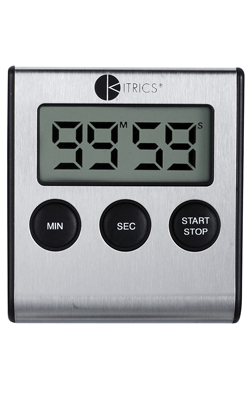 Easy-to-use timer counts up to 99 minutes and 59 seconds. Use countertop stand or magnetic back, whatever strikes your fancy. Stainless steel construction. Counts up or down. Looks nice sitting or standing.